If you know Colorado bluegrass and jam bands, you know Leftover Salmon. 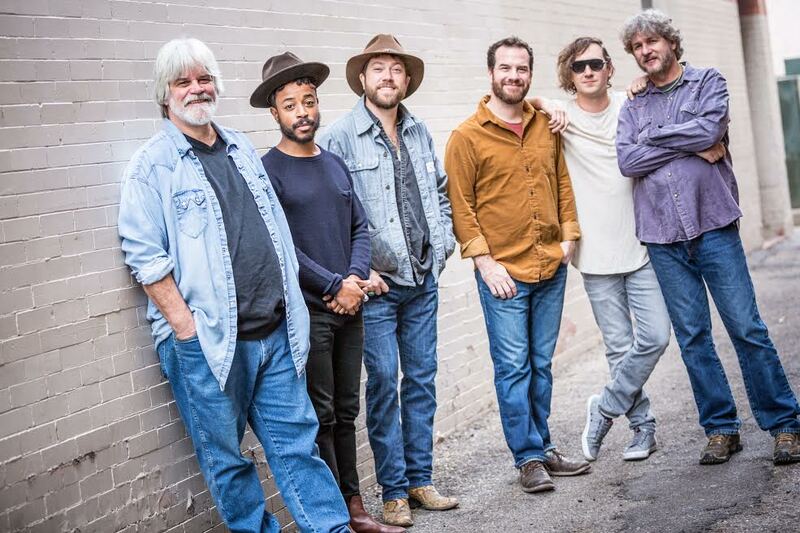 The Boulder-based group has been rocking its unique fusion of bluegrass-rock-Cajun-country since 1989 and over the years, its playful and spirited shows have earned nothing short of a cult following. Leftover Salmon is serving up something fresh for 2018. The band is gearing up to release a new album, “Something Higher,” hitting the shelves in May. Fans can pre-order it now. As a bonus, all pre-orders are entered to win a prize, like a pair of Meier skis, a Winterstick snowboard or season passes to all Salmon shows in 2018 (except festivals). In anticipation of the new music, we chatted with band member Andy Thorn. Thorn (banjo, electric banjo and vocals) has been performing with Leftover Salmon since 2010. He moved to Colorado from North Carolina, at first living out of his car and basically camping nonstop, until he and his wife bought a house about 2,000 feet above Boulder off Lee Hill Road a few years ago. 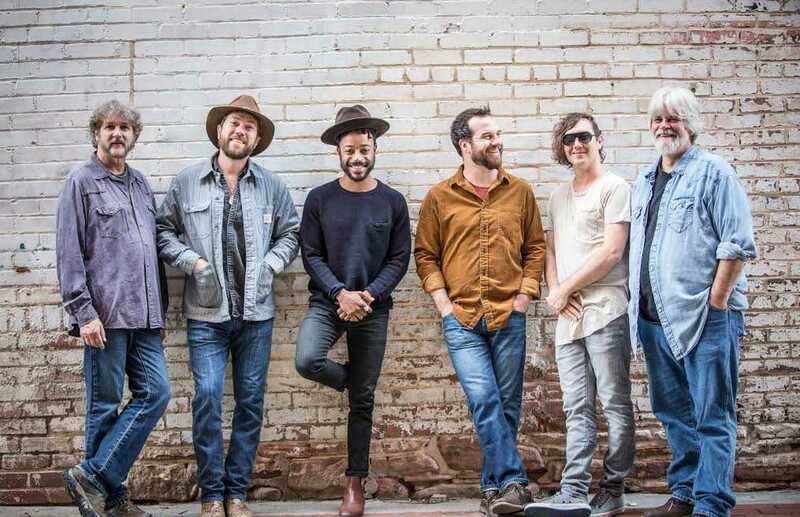 Boulder and the local mountains have played a major role in the artistic inspiration of Leftover Salmon. The band is currently in the middle of its winter tour. 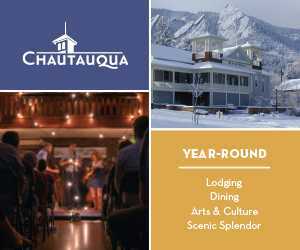 On the calendar: WinterWonderGrass Feb. 23-25 in Steamboat Springs and a festival March 9 at The Stanley Hotel in Estes Park. 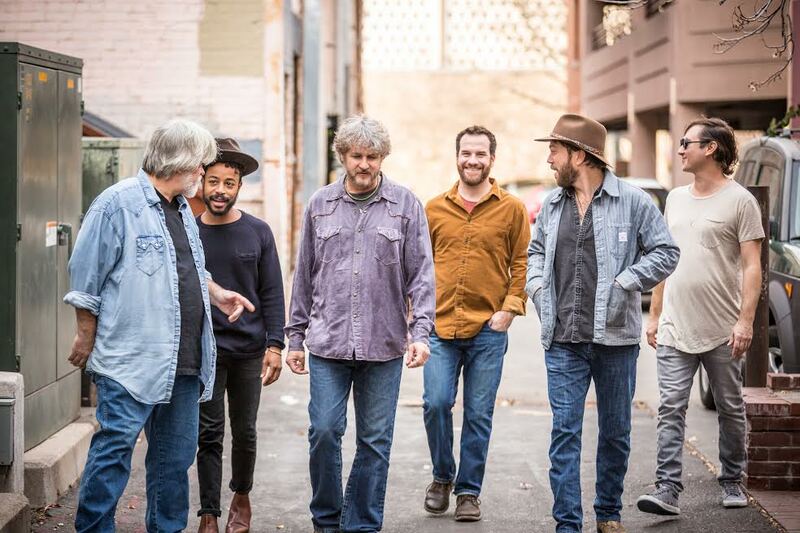 The album launches May 4, and Leftover Salmon plays at the Red Rocks Amphitheater on Cinco de Mayo. Look for more CD-release shows around that time, too. We wanted to learn more about what Leftover Salmon is up to, as well as get to know Thorn a little better. Here’s how our talk went. We recorded it in Tucson, Arizona. Our keyboard player worked there a bunch and had a good experience with a studio where you can record to a tape. Yes, an old-school tape, analog style. It’s a pretty unique thing. Not many people are doing that these days. Everyone contributed original songs; we all wrote a few. It was a good group effort. And you can hear it. In each person’s song, you can see their influences, yet everything fits together. Some of Drew (Emmitt)’s songs are a little more rock. Vince (Herman) has a great protest song. He’s very political. Mine are more bluegrassy. This whole winter’s gonna be really fun, with WinterWonderGrass and Alyeska (Resort in Arkansas). We’re looking forward to Red Rocks and always the Telluride Bluegrass Festival. Everybody from Boulder makes the pilgrimage there. It’s all the same people you hang out with at the Boulder Theater. It feels like home being down there and is a great excuse to go to Telluride. How has Boulder influenced your work? I don’t just sit down and try to write a song for the hell of it. It comes to you when the inspiration’s there. A lot of these songs have been written by me camping … sitting by the fire, inspired to write about what’s around you. Now I do it in my house by the wood stove looking out at the mountains. It’s always there. When you’re feeling inspired, that’s the setting. It’s not like Nashville songwriters who sit down to have a meeting and write a song. There’s something a little more genuine if songs just come to you and you don’t force it. What is your proudest accomplishment with the band? Somehow it ended up that I got the title tracks of the two studio albums that I’m on. That was pretty neat to have both of those title cuts. This album I’m prouder of than any we’ve done. I think it’s slightly groundbreaking and different. It combines the jazzy elements of our drummer with a bluegrassy edge and rock. It’s a really cool combo. What is a big misconception people have about you or would be surprised to learn? Back in the day, Leftover Salmon had a big reputation for being a party band and maybe not taking themselves as seriously. Our shows are still a party, but we take ourselves a little more seriously than the band used to, and that’s reflected in the quality of the music these days. A band doesn’t have to take themselves too seriously, but just seriously enough to keep the quality high. 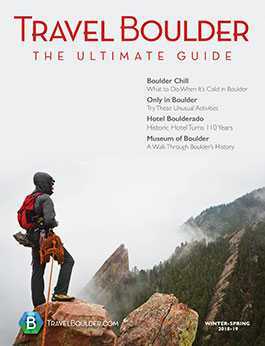 What is your favorite thing to do in Boulder? I like to bike. My favorite place to bike is Betasso Preserve. I always take my friends there. I also like to hike. I used to live at Fourth and Hawthorn (Avenue) so I could hike Mount Sanitas right out of my door. I used to hike it almost every day and explore all the side areas. There’s so much cool stuff up on that ridge. Now, I go to Brainard Lake all the time. It’s my spot, summer or winter. I love to cross-country ski there, and early summer I hit all the peaks there. 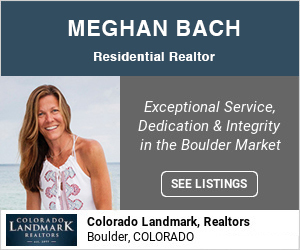 What do you want visitors to know about Boulder? A lot of people make fun of Boulder. They will say, “You’re so Boulder.” But I don’t care. I love Boulder. There are still price levels for everybody and the quality of life is just improving with all these changes, in my opinion, but I don’t live downtown so I don’t feel the changes as much. To me, the best part about Boulder is the stuff that will never change: the outdoor recreating you can do, endless options everywhere around you. What is your favorite restaurant in Boulder (County)? What do you order? The Gold Hill Inn, definitely. I got married there. I love Brian, the owner. It was the first place I ever played in Boulder when I was 19, in 2003. It was my first experience in Boulder. I love the people, the vibe and the history, its laid-back vibe. We had a party at the hotel and were next door jamming music until 7 a.m. and nobody in town cared. And the food is really good and affordable. You get a six-course meal for $38. At that rate, you can afford to drink wine, too. I like the bacon-wrapped filet mignon, the stuffed trout and the salmon. My favorite dish in the town of Boulder is at Zoe Ma Ma: on Friday and Saturday, they have a roast duck wonton soup special. It’s ridiculously good. I like going to Jax Fish House and eating oysters and their peel-and-eat shrimp. Avery Brewing is pretty great, as well. To teleport. As often as we travel, you spend more of your time traveling than you do playing or even practicing. If I could just skip all the travel and just teleport around instead of spending all the time on planes and cars and buses — it’s a silly superpower but it’s the first thing I thought of.